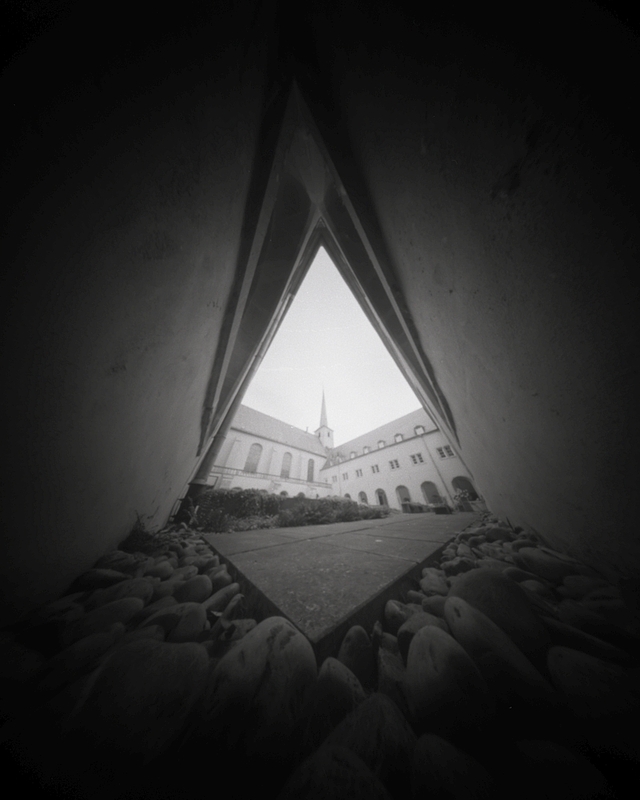 The series „The World is Triangular“ is based on an idea that in any corner of the world we can find some specific corners. 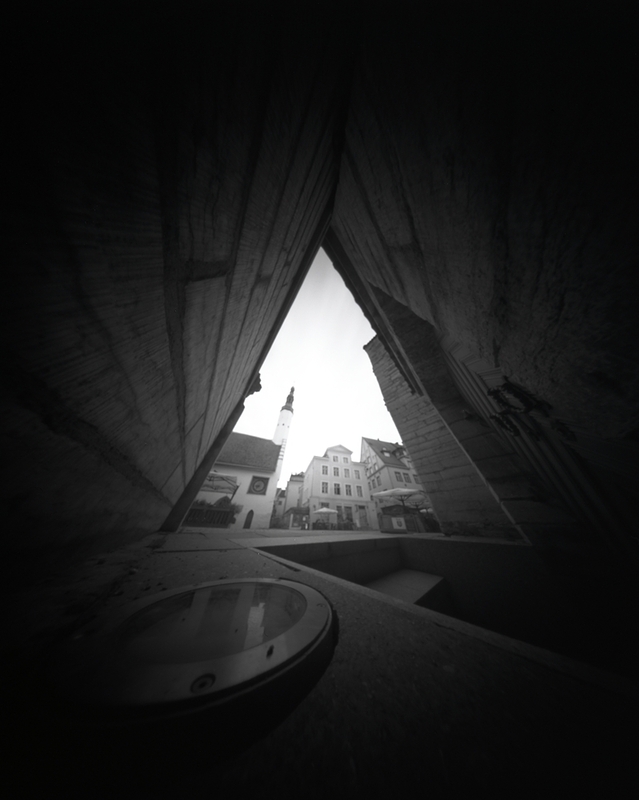 Looking out of those corners we see an image that is different every time, but at the same time very similar. 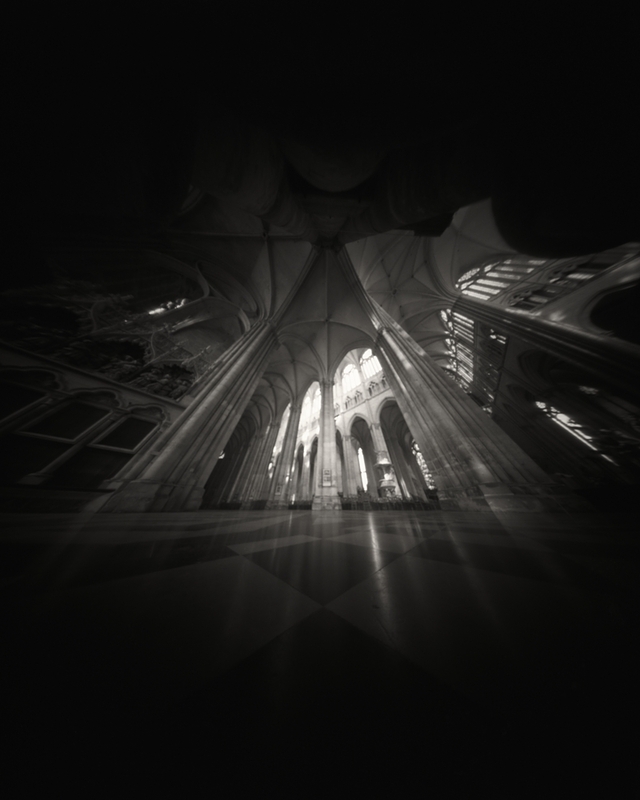 There is a hidden shape which is enchantingly repeating over places again and again. 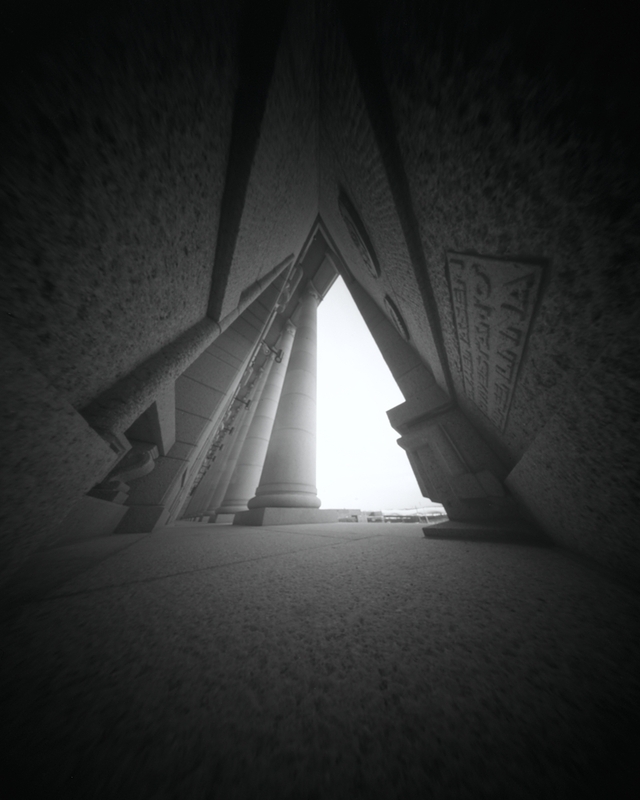 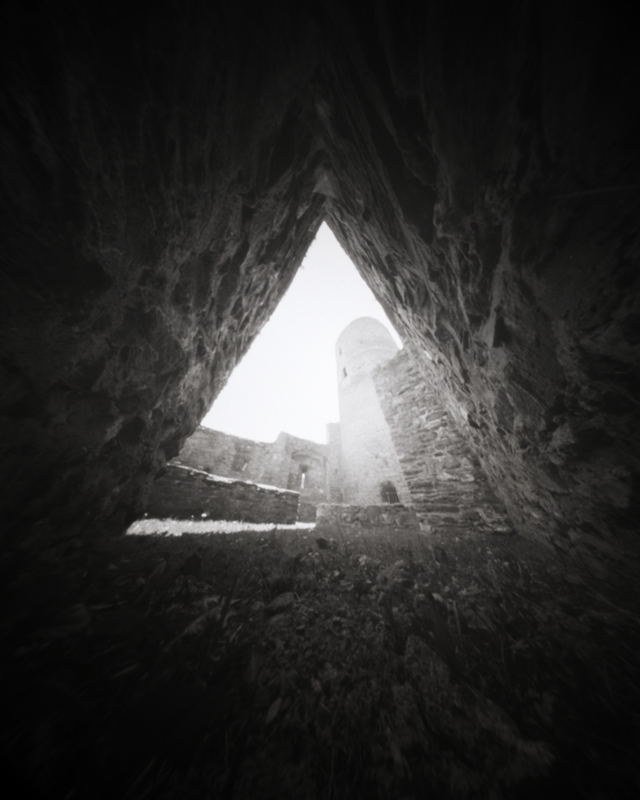 Every new picture of the series is uncovering another mysterious triangle hidden in another corner in the world. 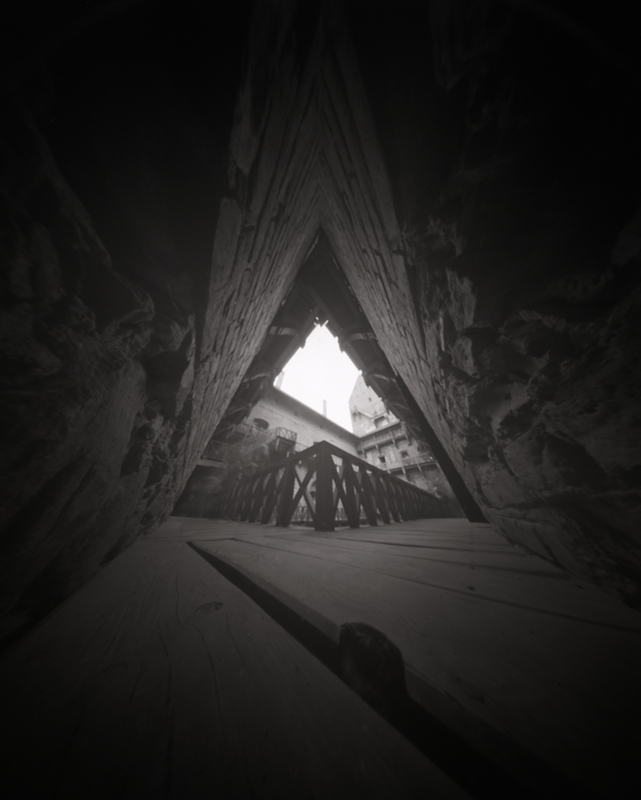 And so goes an endless voyage of discoveries. 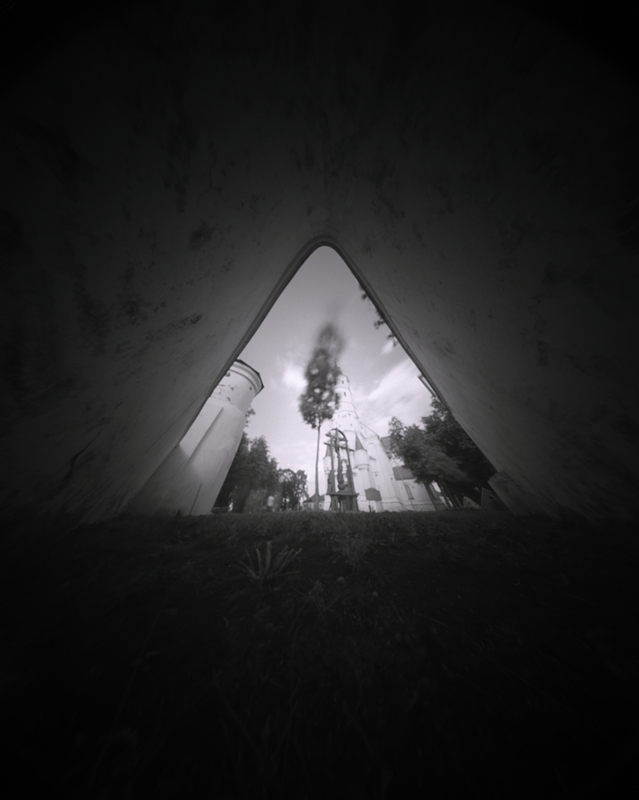 The series is expanding continuously. 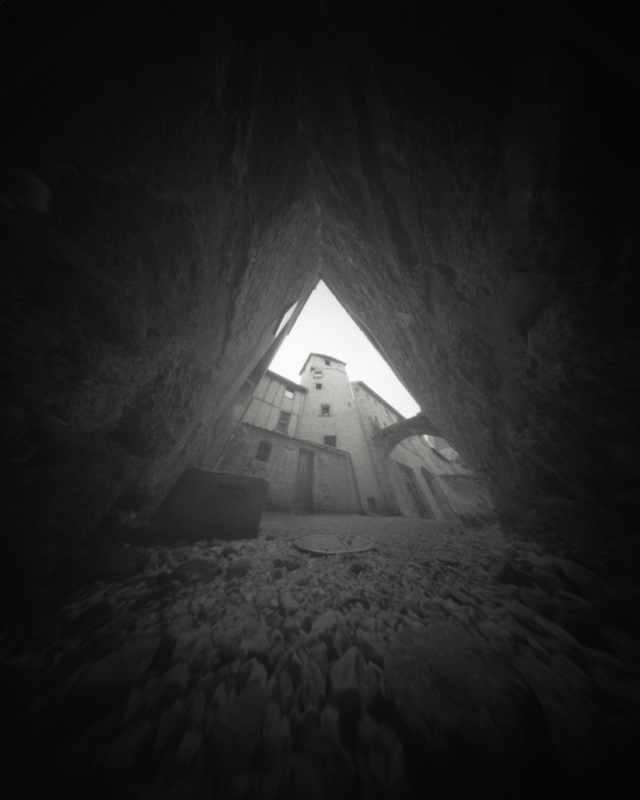 Don’t hesitate to come back in a few months to see if there are any new views of new places. 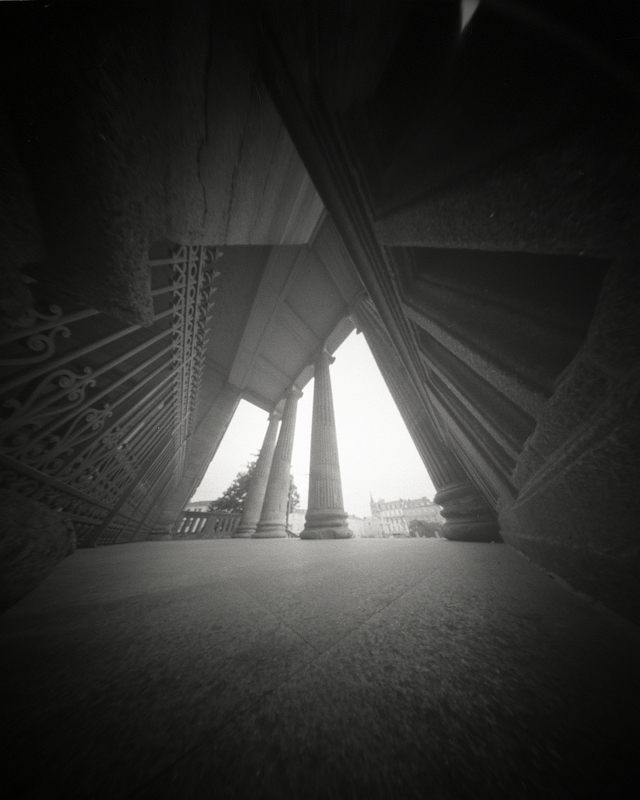 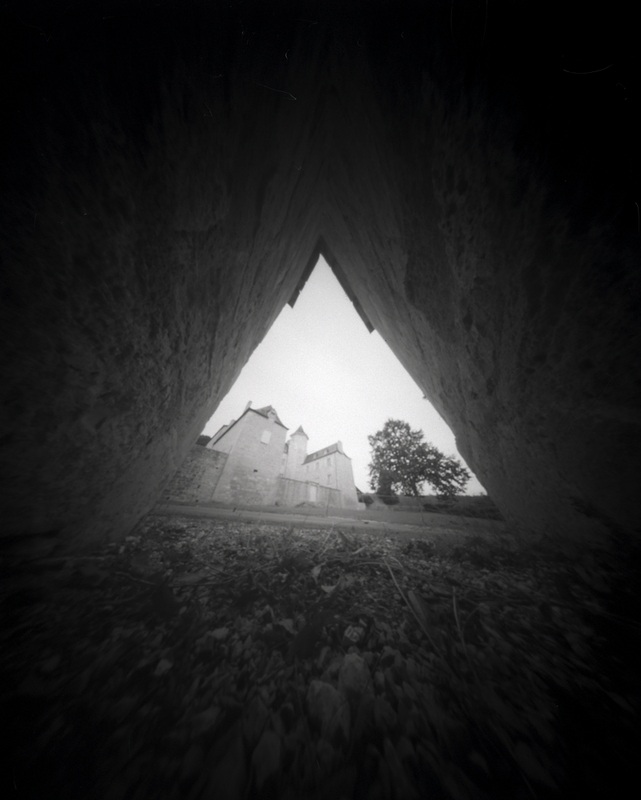 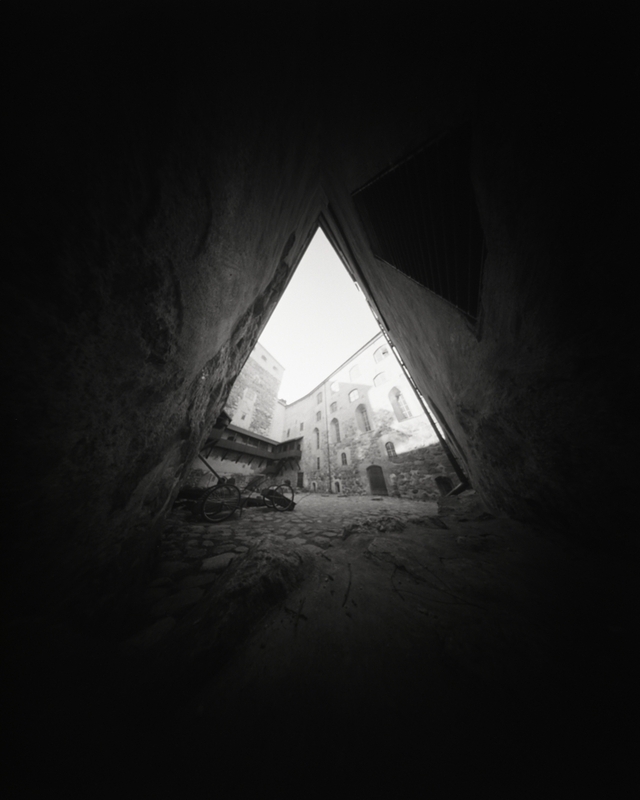 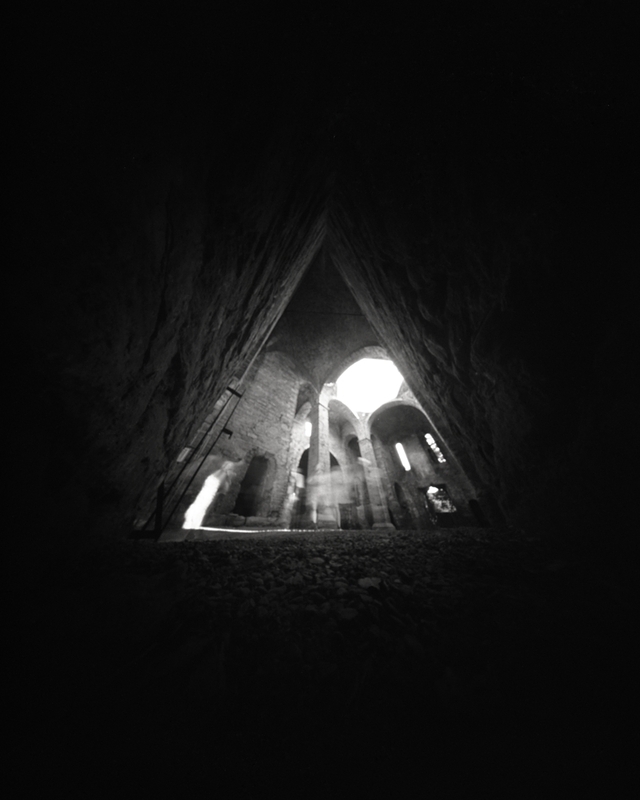 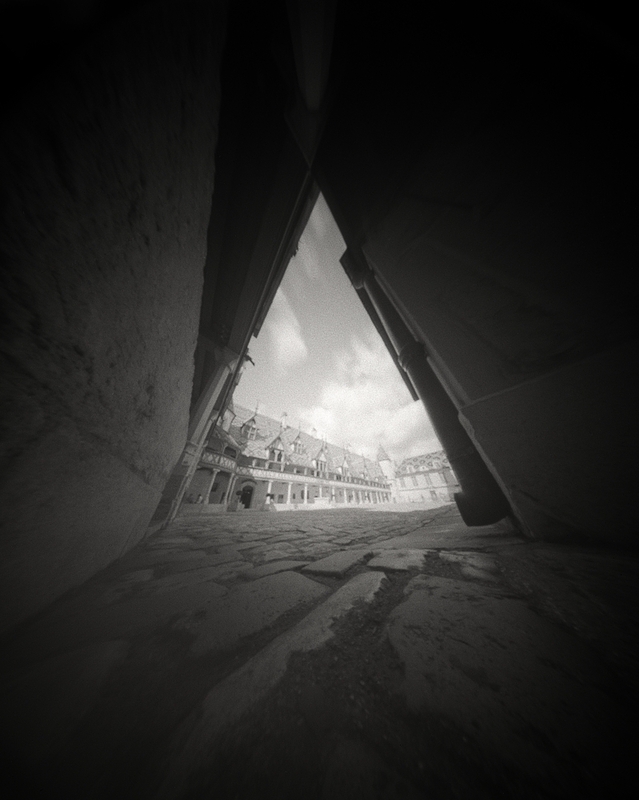 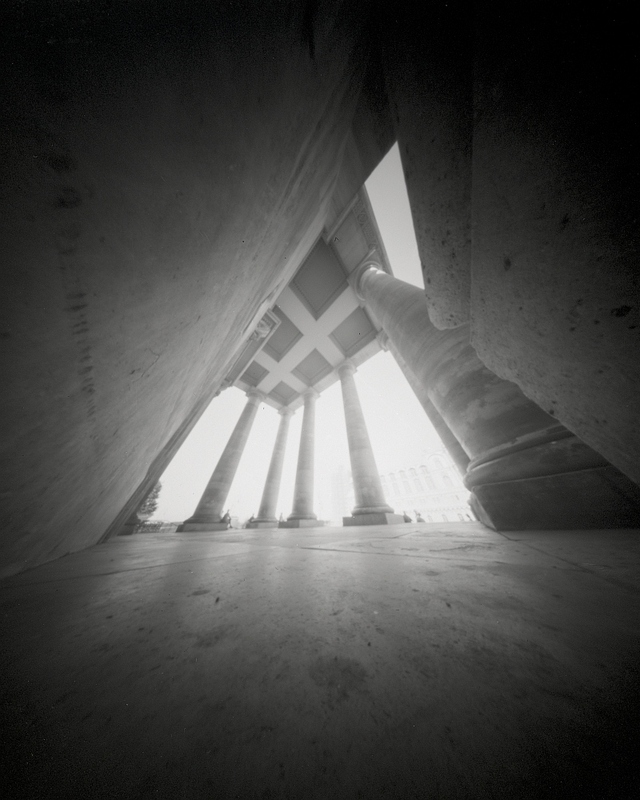 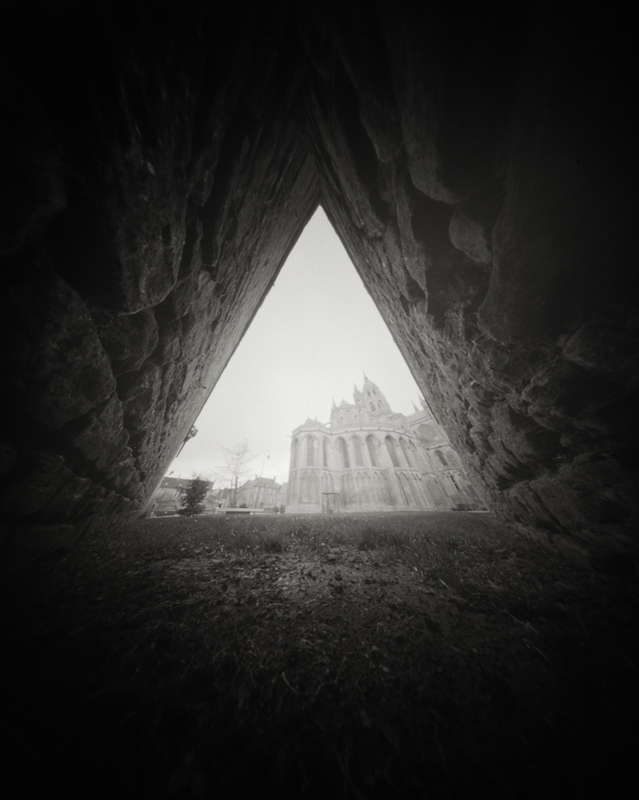 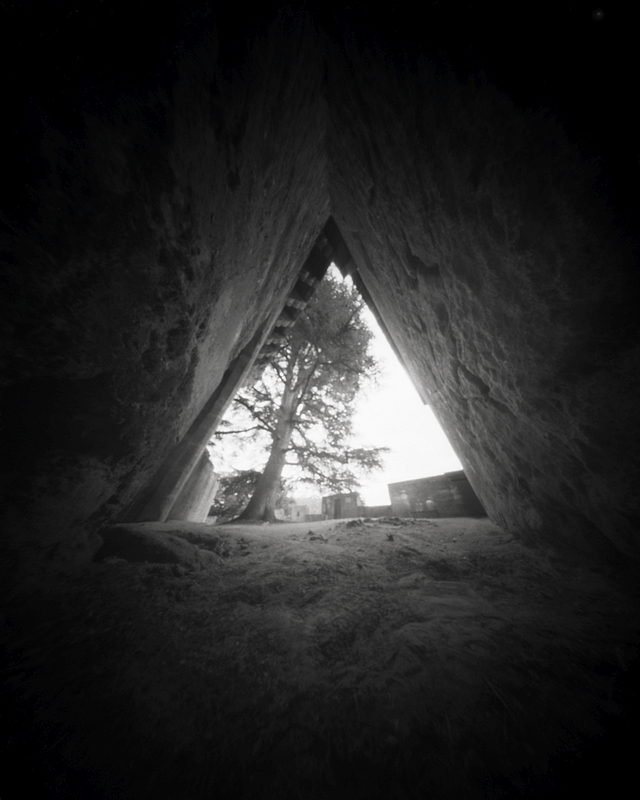 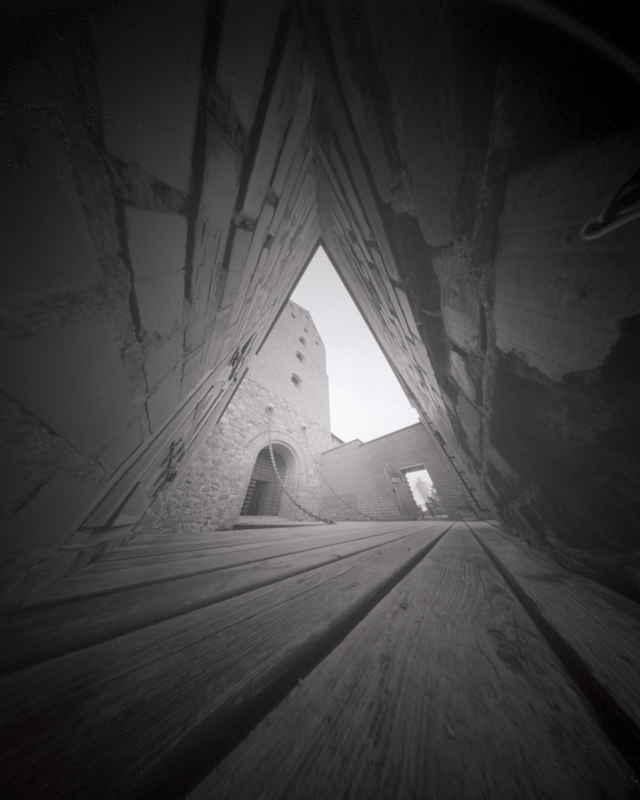 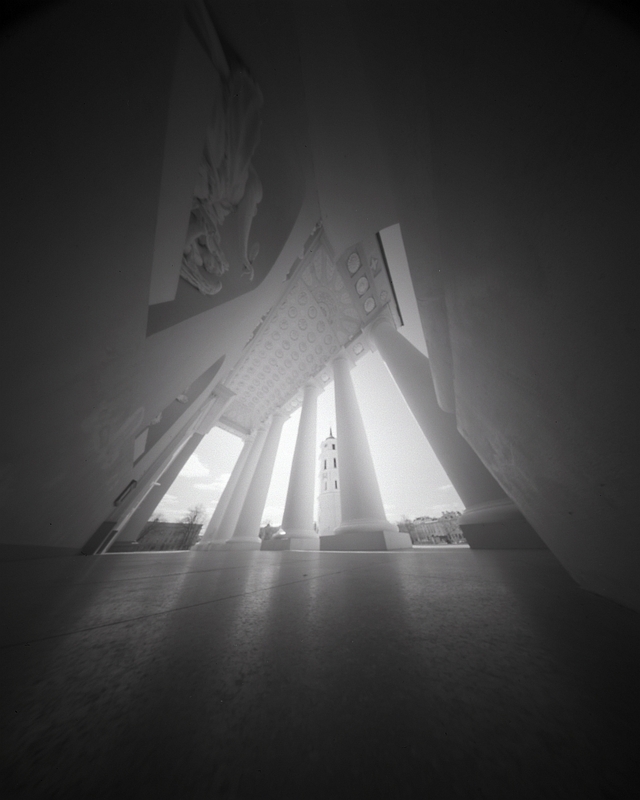 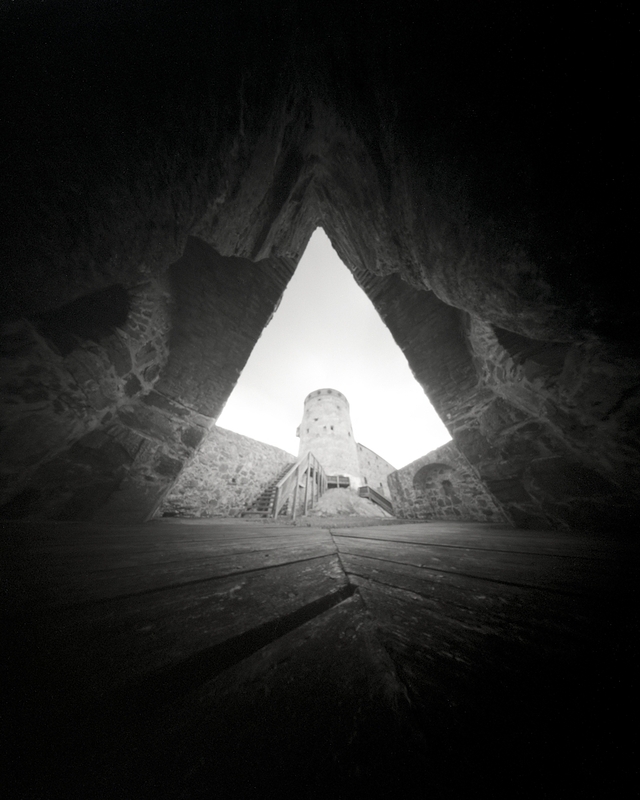 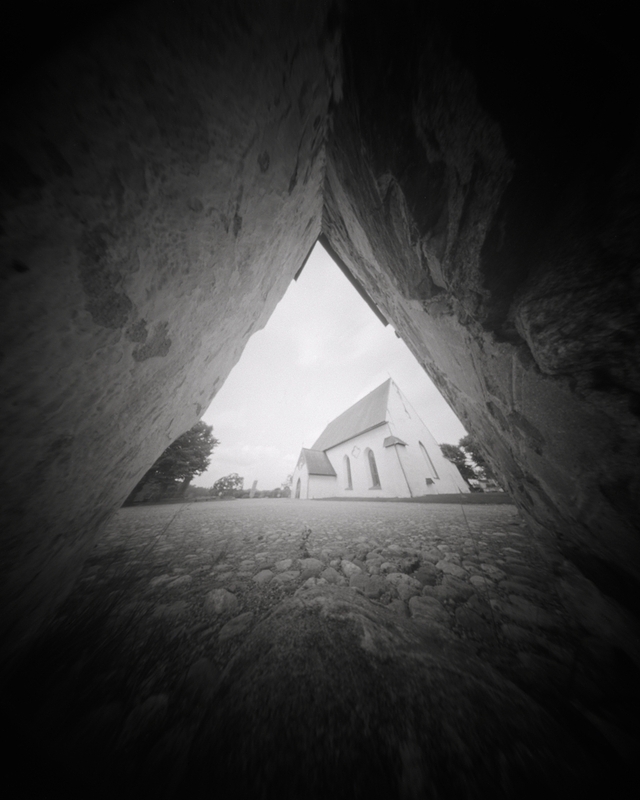 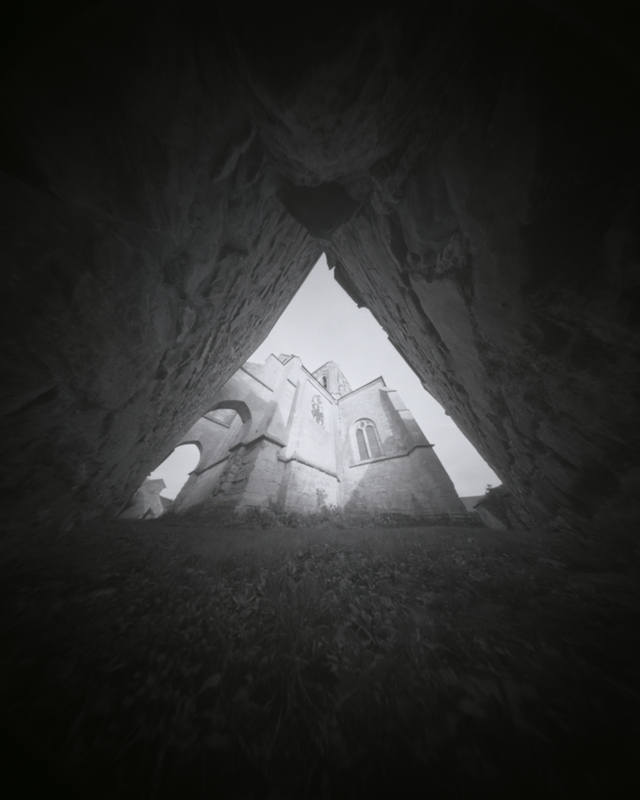 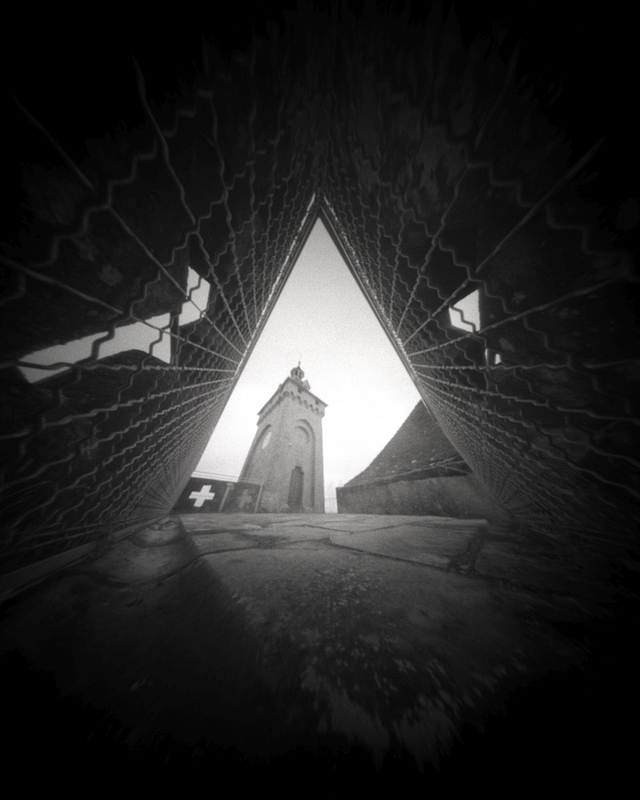 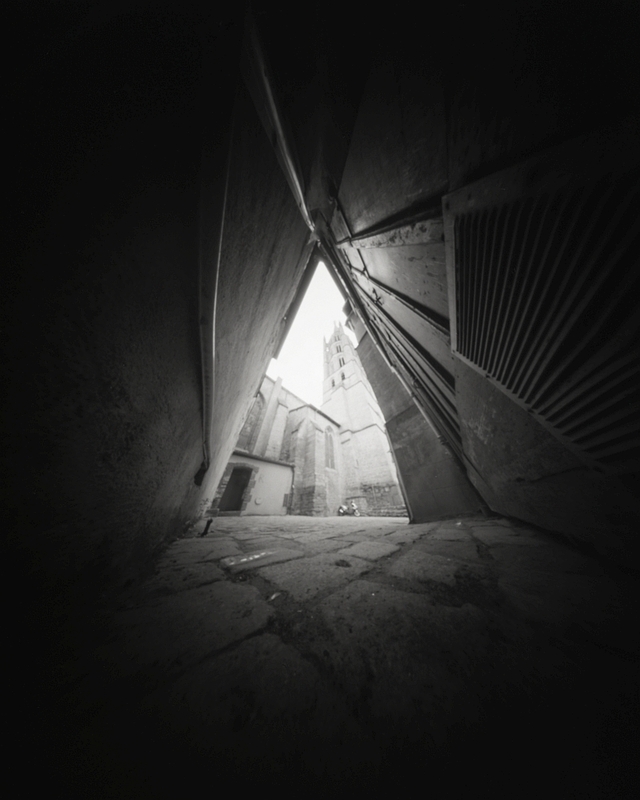 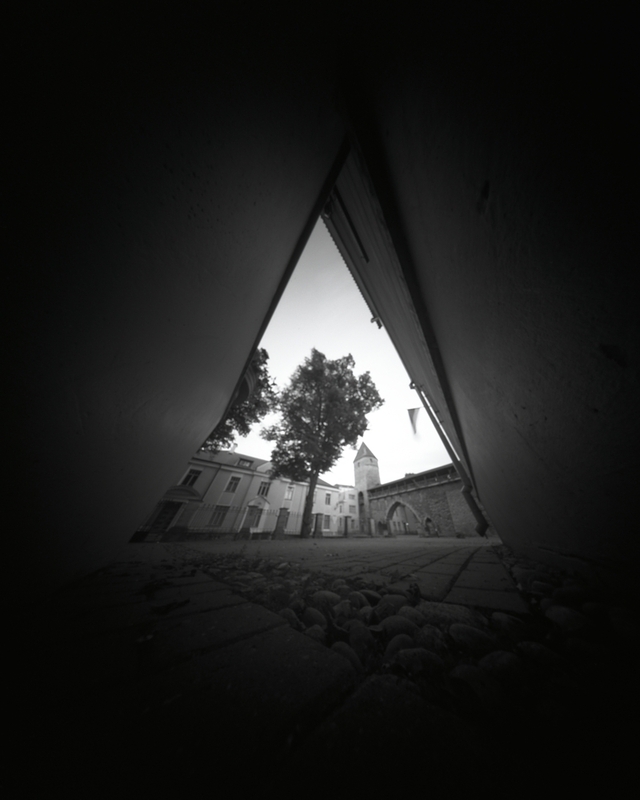 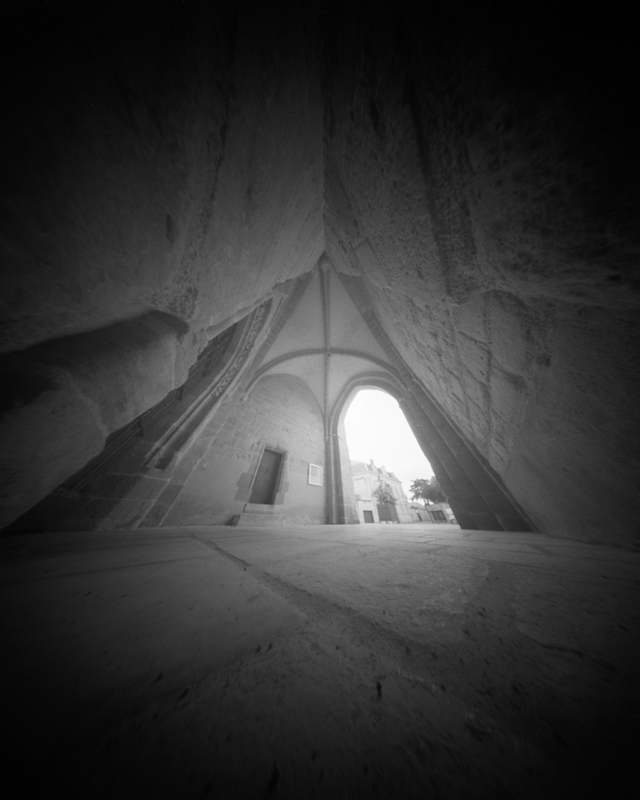 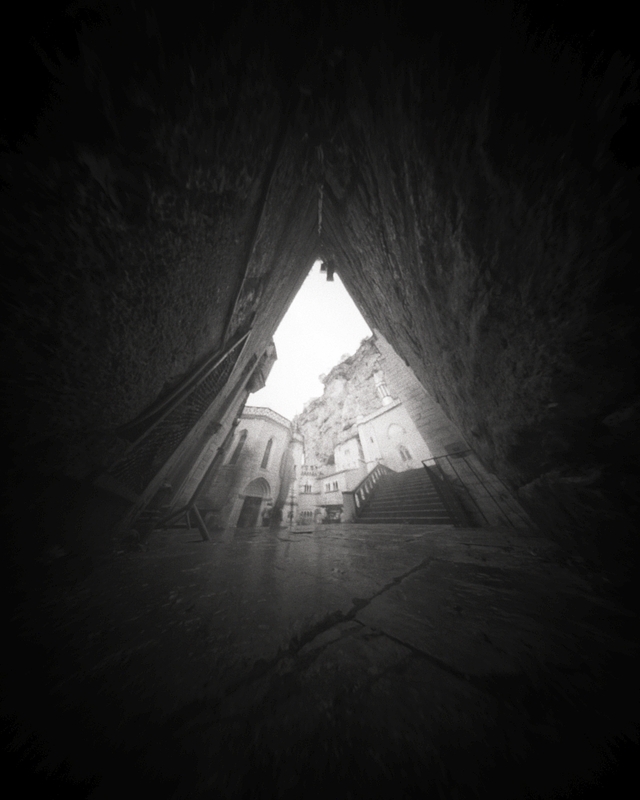 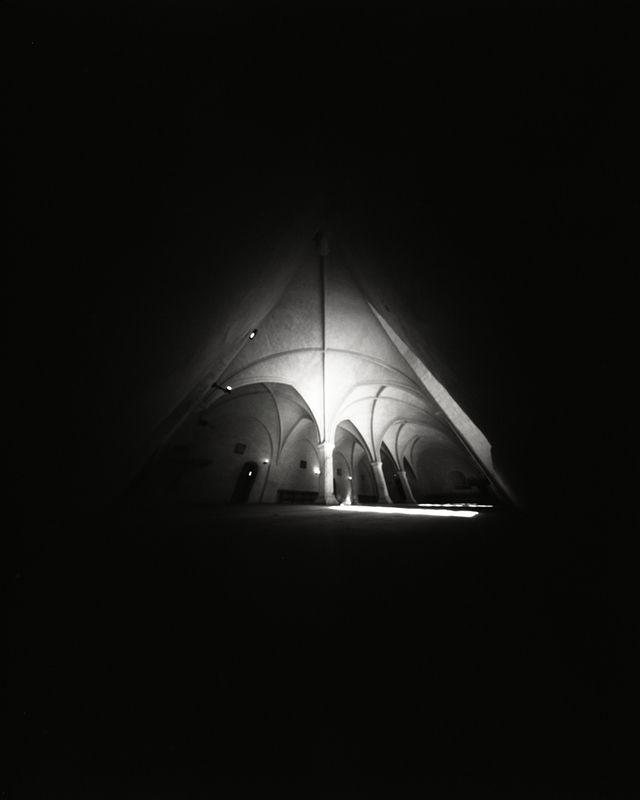 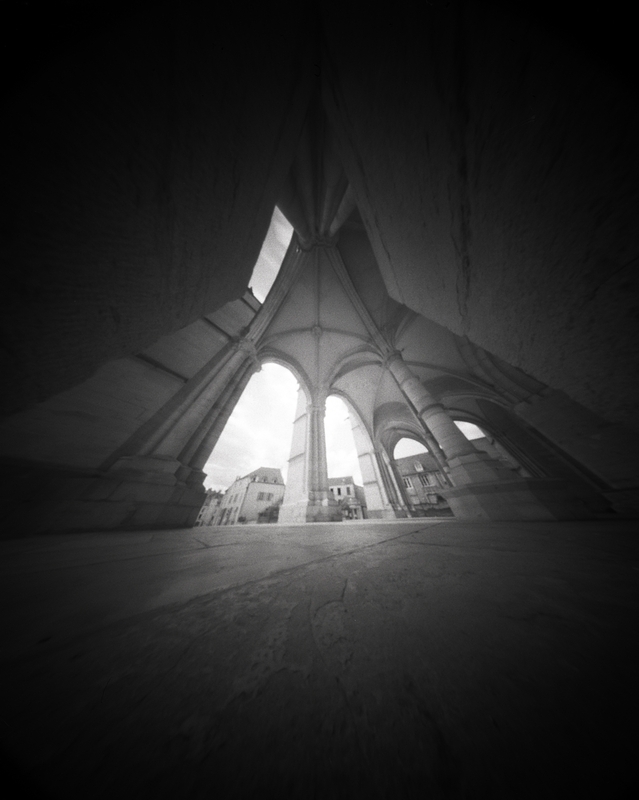 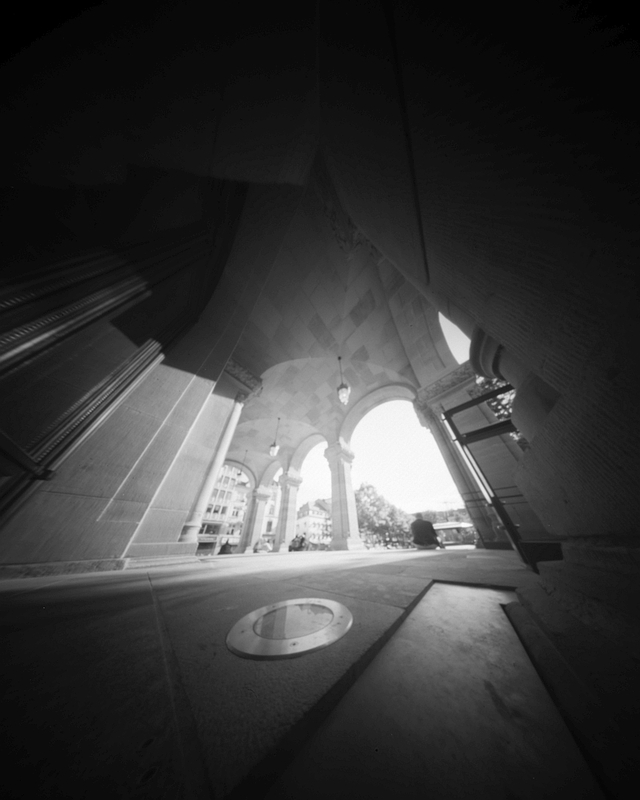 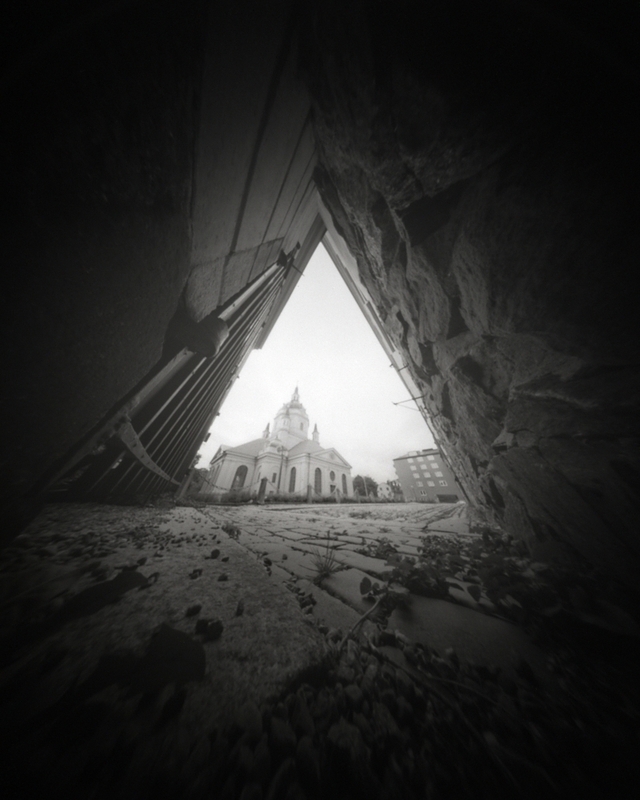 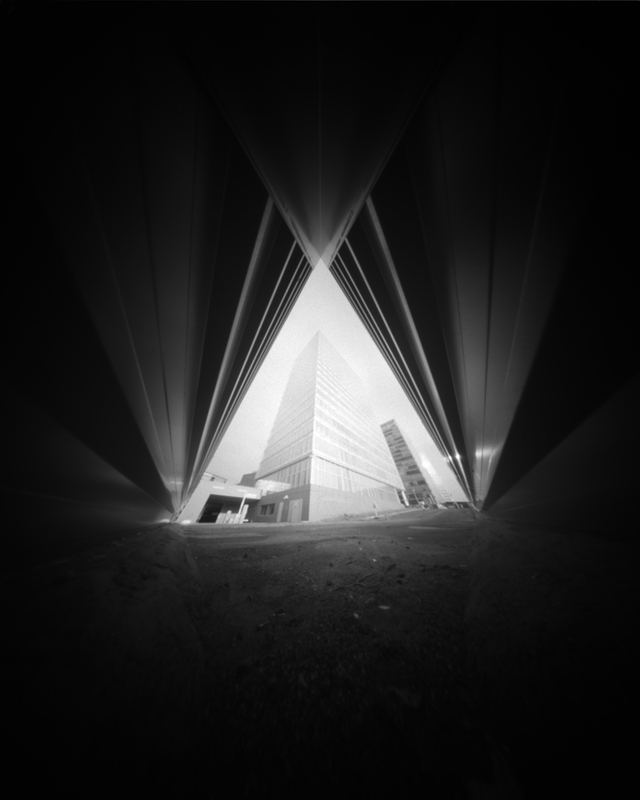 Vaidotas MIKŠYS has been taking pinhole photographs since 2012. 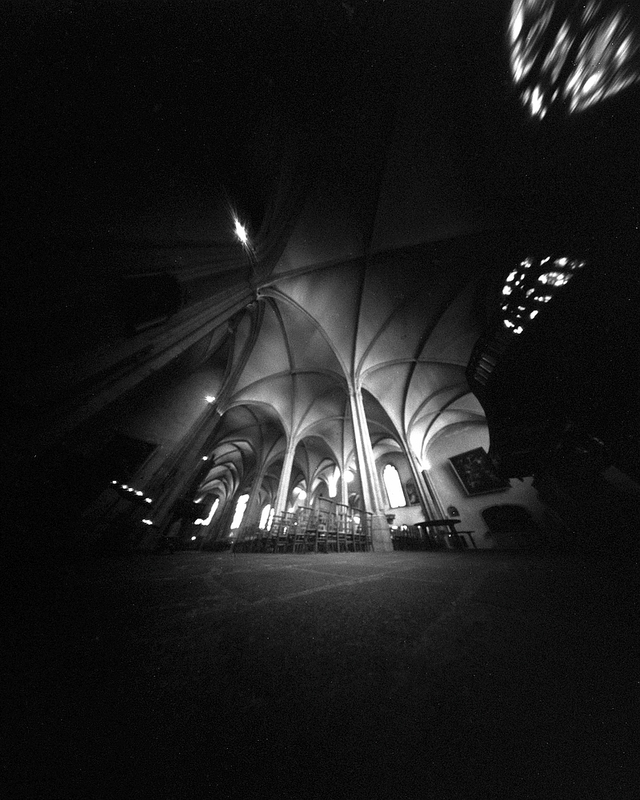 He is using cameras that he has built or adapted himself. 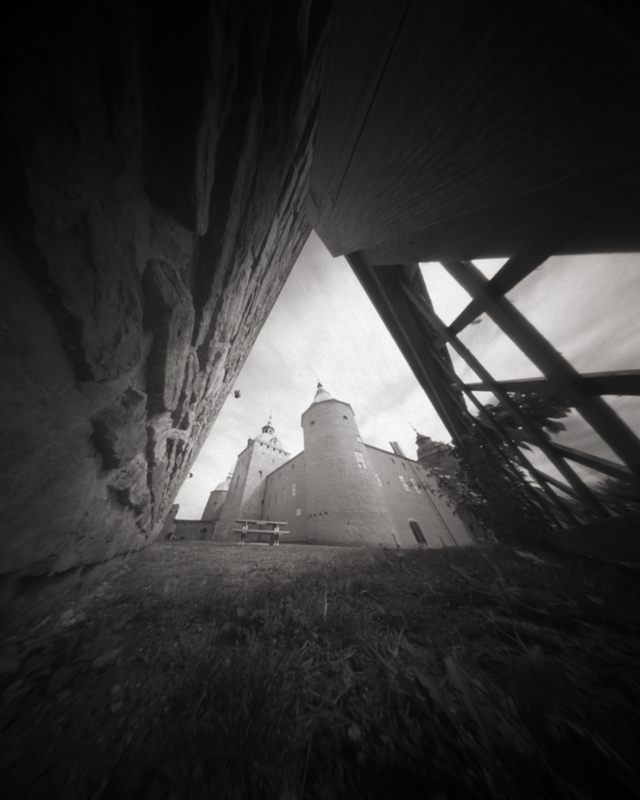 You may contact the author at info(atsign)miksys.eu. 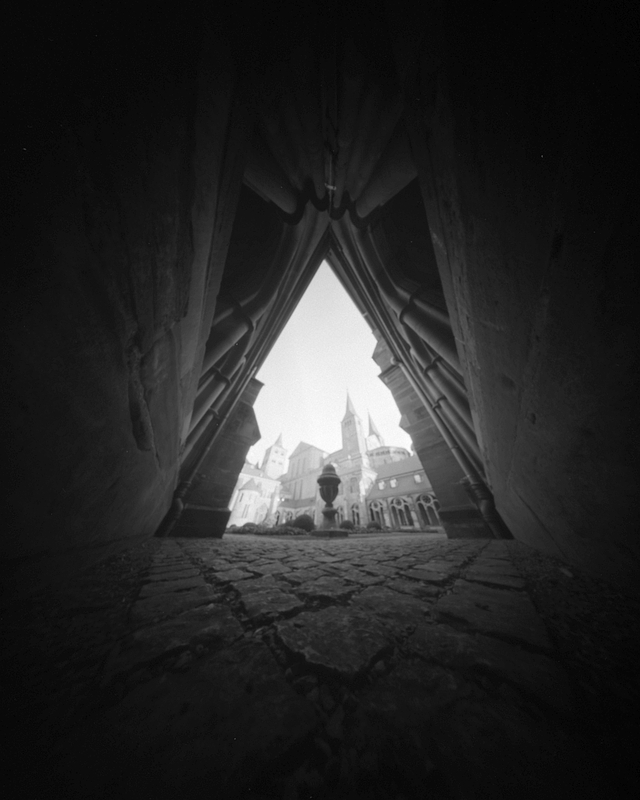 He speaks Lithuanian, English, French, German, Russian, some Spanish and Luxembourgish.